This Scope of Services outlines in detail the work that will be complete by the PVPC to establish a plan for possible implementation. 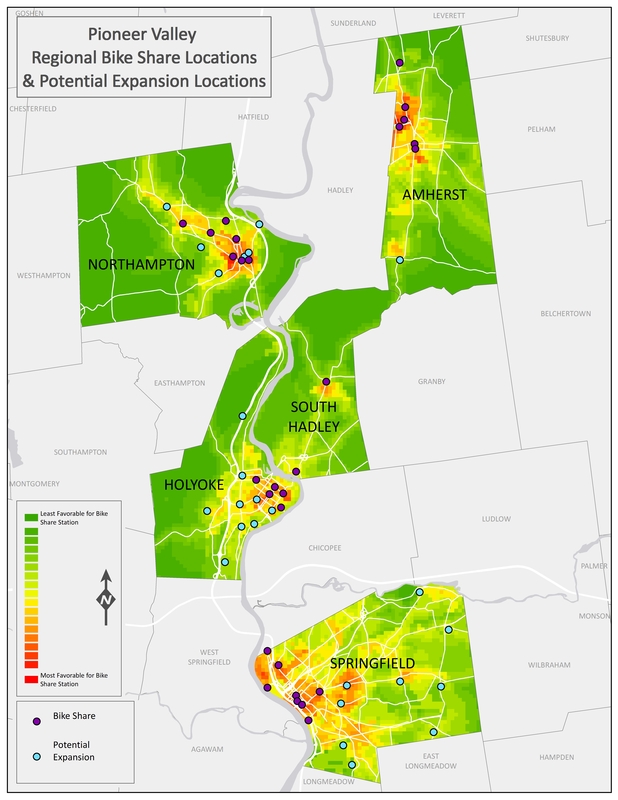 The communities of Amherst, Holyoke, Northampton, South Hadley and Springfield, the University of Massachusetts, and the Pioneer Valley Planning Commission have been working for nearly two years to bring this 21st century amenity here. ValleyBike Share, which plans to put up rent-a-bike stations across the Pioneer Valley including Springfield Union Station and the Amherst town green, has a federal funding contract in hand just in time for Bay State Bike Week. NORTHAMPTON---A medical marijuana dispensary, a hospital, a bank, and a college will co-sponsor bicycle-sharing stations in Northampton, Mayor David Narkewicz has announced. After years of preparation and planning, ValleyBike Share is coming to our Valley next year. I, for one, am excited.